The aim of the study was to investigate the effect of osteoarthritis on hand function in postmenopausal women. One hundred patients with hand OA and 70 healthy volunteers as controls were evaluated. Grip and pinch strength measurements and Dreiser’s functional index were used for hand function. Pain was assessed by a visual analog scale, and tenderness was assessed by palpation and scored, depending on the severity of tenderness, as 0, 1 or 2. Heberden’s and Bouchard’s nodules and joint involvement were also recorded. 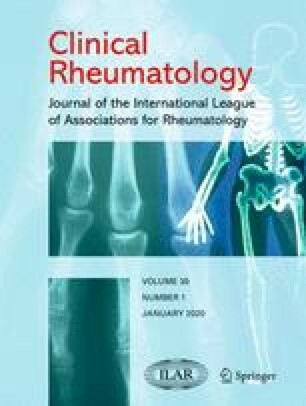 The number of patients with only distal interphalangeal joint involvement was 50 (50%), those with distal interphalangeal joint plus proximal interphalangeal joint involvement was 49 (49%), and those with carpometacarpal joint involvement numbered 18 (18%). The incidence of Heberden’s and Bouchard’s nodules was 85% and 36%, respectively. Eighty-six (86%) patients were suffering from pain and 57 were found to have tenderness. Grip and pinch strength was significantly lower (p<0.05) and Dreiser’s functional index score was significantly higher (p<0.001) in the study group (particularly in grade 4 OA). Grip strength was lower in hand OA patients with distal interphalangeal joint plus proximal interphalangeal joint involvement than in those with only distal interphalangeal joint and carpometacarpal joint involvement. Pinch strength was also lower in patients with distal interphalangeal joint plus proximal interphalangeal joint plus carpometacarpal joint involvement. The patients with Heberden’s and Bouchard’s nodules had lower grip and pinch strength than controls. Also, pain and tenderness had significant (p<0.05) effects on hand function. Dreiser’s total score ranged from 0 to 10 in 80 (80%) patients and from 11 to 20 in 20 patients. In conclusion, hand osteoarthritis contributes to hand dysfunction, mainly related to the severity of osteoarthritis, pain, joint involvement and the presence of nodules.